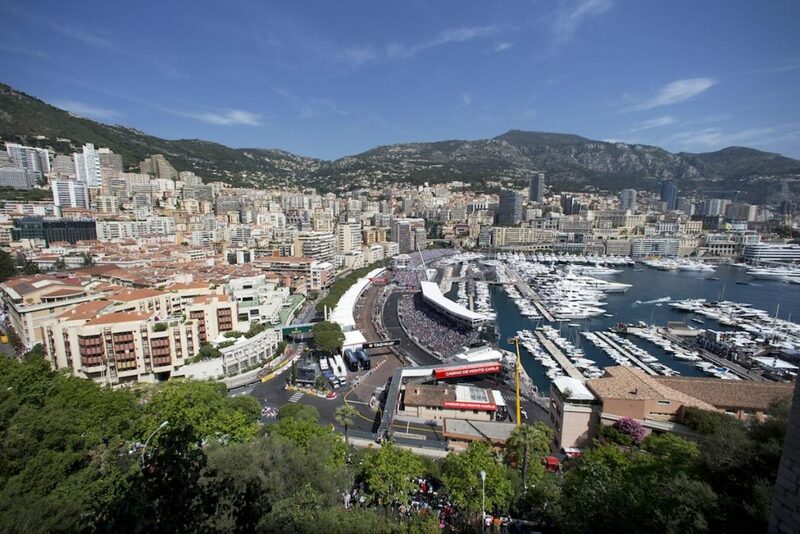 The travel basics to help you plan your weekend at the Monaco Grand Prix. The next race takes place on May 23-26, 2019. Monaco is surrounded by France, the largest country in Western Europe and the EU, and one of the wealthiest in the world. A sovereign state and tax haven, Monaco is legally separated from France and governed by a royal family headed by Prince Albert II, which has ruled almost exclusively over Monaco since the thirteenth century. One of the world’s only sovereign city-states, alongside Singapore and the Vatican, Monaco is the second smallest (and most densely populated) country in the world. Measuring just 2 square kilometres, it’s home to a small but perfectly formed ultra-wealthy population of just 38,000. French is the principality’s first language, though some inhabitants do speak Monegasque, the ancient dialect of Monaco. English and Italian are also widely spoken. Culturally, Monaco is different to the rest of France – in part due to its monarchic rule, in contrast to the French republic and its notion of equality for all. Monaco is home to some of the world’s richest individuals, drawn by its status as a tax haven and the extremely high standard of living it offers. 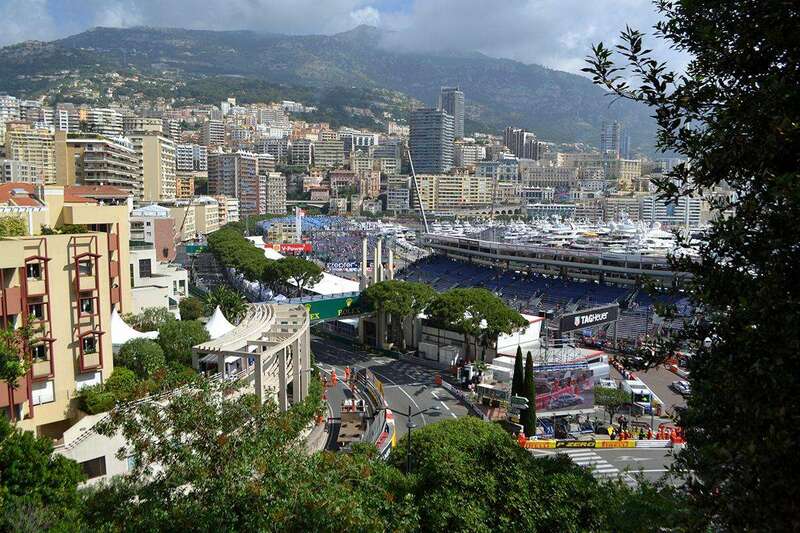 Many current and former F1 drivers call Monaco home, including Jenson Button, Nico Rosberg, Felipe Massa, David Coulthard and Mika Hakkinen. For visa purposes, Monaco is considered part of France and so is also part of the Schengen Area, which provides border-less travel between 26 European countries. Citizens from the USA, Canada, New Zealand, Australia, and the UK don’t require a visa to enter the Schengen Area, and as long as your passport is valid, you’ll be granted a single entry for up to 90 days. 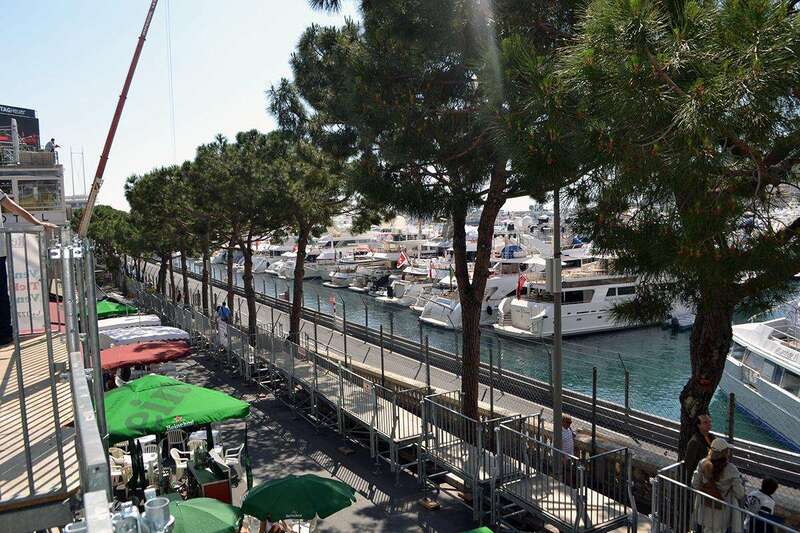 There are no passport checks to travel in and out of the Monaco on Grand Prix weekend if you are staying with the rest of the F1 fans in either France or Italy. Befitting its status as the playground of the rich and famous, Monaco is an extremely safe place to visit. There is a strong police presence, even on a quiet weekend with not much going on. On Grand Prix weekend, security steps up considerably. Abundant CCTV coverage at all times acts as a further deterrent to petty thieves. This said, you are more likely to encounter pickpockets and petty criminals on race weekend, when the population of the principality soars to around 200 000. 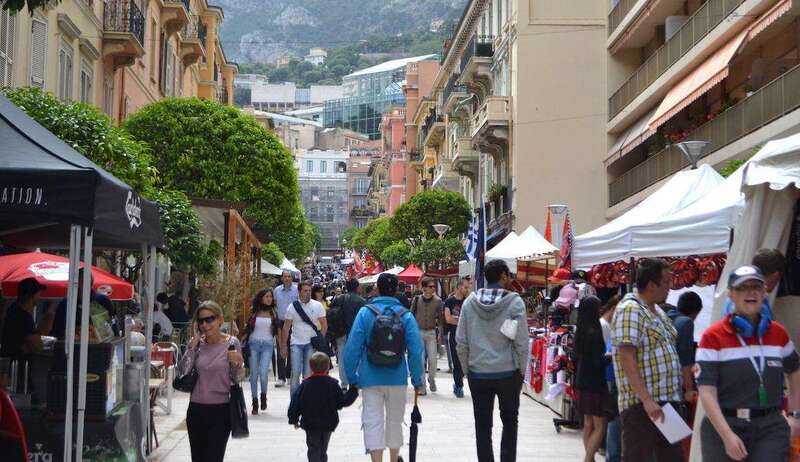 The tight confines of Monaco means big crowds, particularly on the narrow streets and passages coming into and out of the circuit, so keep your wits about you and keep your belongings close to you. Staying in Nice? Safety is not quite as sharp as in the sovereign state, and pickpocketing is as much a problem here as in other cities on the Cote d’Azur. Our advice is to exercise caution and common sense at all times, and avoid the sea front after dark. Monaco enjoys a typically Mediterranean climate: hot summers and around 300 days of sunshine a year, so pack your bags accordingly and don’t forget something smart if you do decide to go for dinner or drinks in Monte Carlo. Early summer is not typically France’s hottest time of year, but the South of France in late May is still hot, with temperatures normally peaking at around 25°C (77°F). Humidity and direct sun exposure for long periods in Monte Carlo can lead to problems if you’re not careful, so pack plenty of water and don’t forget to apply sun cream throughout the day. All tourists in France (including Monaco) are entitled to the same emergency care as locals, and EU visitors can get emergency medical care in Monaco or the rest of France upon the presentation of a valid EHIC card. It’s free to apply and your application should be processed within a couple of weeks. If you are traveling from outside the EU, make sure you organize decent travel insurance before you depart. Anything more than straightforward emergency medical treatment will require you to make a claim, so make sure your individual trip policy covers this. Monaco’s currency is the Euro, in keeping with the rest of France. Credit cards are widely accepted and ATMs are easy to find. Monaco operates on Central European Time (CET), which equates to GMT +1 hour. The number to dial in case of an emergency in Monaco is 112. Want to learn more? Check out the official Visit Monaco site or the Wiki Travel page for the principality. Been to Monaco? Leave a comment with your travel tips! Is it possible to choose which section of Stand K you sit in? The ticketing doesn’tappear to have a seating plan. Hi Craig, Gootickets doesn’t offer seating plans, only a choice of “lower” or “upper”. I believe you can choose the zone via the official site, but I’m not sure about individual seats. This is only for Saturday and Sunday: I think all grandstands are “free” seating on Thursday for the first two practice sessions. -Thursday’s practice sessions now require a seat selection (not sure how strict track workers are about enforcement, though). Do you know if there is a left luggage area at the Monaco grand prix as we travelling with bags. I think you may be out of luck. There are no luggage lockers in Monaco due to security concerns I believe. I suggest looking for a place at Nice train station or a hotel outside of Monaco. Do I need to carry passport or the F1 ticket is enough to enter ? Sorry for the late reply, but I’d always recommend to leave your passport back at your hotel. If you want to visit the Casino, you need your passport.